Earlier this year, we learned that those in the US. 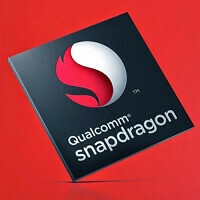 and China will find a Snapdragon 820 SoC under the hood of their Samsung Galaxy S7. Elsewhere, the Exynos 8890 is expected to be be powering Sammy's new flagship smartphone. Packing Galaxy S units headed for the states with a Snapdragon chip has been the manufacturer's recent MO, except for a fluke this year. Because of the issue that the Snapdragon 810 chipset has with overheating, all Samsung Galaxy S6 units ended up with the Exynos 7420 SoC inside. A posting found on Weibo from a Chinese tipster, seconds a rumor that we've heard before. The original speculation noted that the version of the Snapdragon 820 chip headed into the Galaxy S7 will be optimized for Samsung with better thermal management and lower power consumption. Because this enhanced Snapdragon 820 chip will run at a higher frequency than the regular version, a heat pipe will be added to help with the thermal control. The Weibo post adds that a new Geekbench test done on the Samsung Galaxy S7 powered with this enhanced Snapdragon 820 chip in tow, scored an impressive 2456 in the single-core test. The multi-core test also produced a tremendous score of 5423. If this test is legit, it would appear that U.S. and Chinese buyers of the phone shouldn't have any performance issues to worry about. Still, it would be prudent to take this story with the proverbial grain of salt. We could see the Samsung Galaxy S7 unveiled on February 21st, the day before MWC opens in Barcelona, during a scheduled Samsung Unpacked event. Are you implying that exynos M1 is weak? 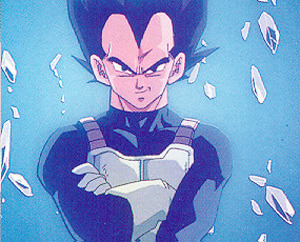 Vegeta isn't weak, heck Freezer is the boss. Next is Cell. I must be old, because I have no idea WTF you guys are talking about. Im in my mid 30s and i know what they talking about. Who is champa? I heard of the rest. And how about Kenshiro, Raoh, Souther, Falco and Kaioh, they are weak? We All Knew The Sd820 Was Going To Be A Beast. This Just Proves It. It Also Makes Me Believe I Might Have Been Right When I Said The Sd820 Could Top The A9 In Antutu. A beast that throttles after 10s of intensive use. I'm pretty much sure a9 remains cooler and throttles less overall. Have you even yet with the 820 before bashing like this? You sound butthurt by QC's great Snapdragon line-up. S7 will be getting heat pipes thx to qualcom's magnificent sd820 :D. So no, it's more of a fact, on top of that, latest offerings from qualcom confirm my belief. S7 is getting heat pipes on both of it's versions to make both SoCs throttle less. Even A9 throttles. If Apple decides to include heat pipres in iPhones to make it's SoC run even cooler, you'll begin to praise it, claiming how consistent it runs at peak clock speed. Mr iButthurt. Your points holds no ground, as all these SD820 over-heating claims are still rumors anyways. A9 throttles after MULTIPLE GFX Benchmarks back-to-back-to-back. I'm talking 10 minutes of Benchmarking. And the A8 managed heat even better. Which is a load that literally is never experienced in normal use. My Galaxy S6 throttles after 1-2 GFX Benchmarks (Usually after 1). And the Exynos performs much better at managing heat than Snapdragon 808 or 810. The fact that Android makers are building heat pipes inside devices is damning and points to the fact that heat issues and throttling will continue to plague Flagship devices for the next year at least. Really the heat pipes prove that Android SoC design philosophy continues to head the wrong direction focusing on power over efficiency when the limited battery capacity requires efficiency over power. True. But that Neros guy wants to make it lool like the heat pipes employed by Samsung is due to overheating, which not even the case!